Choose the width of your island or wall section and your desired depth. Add separators to separate different types of the same product. 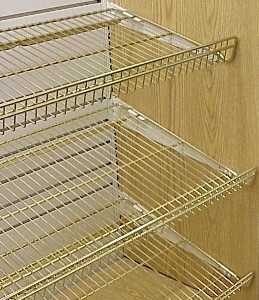 Lozier wire shelves allow better visibility of your products when you need a lip and have added flexibility for separating products into sections.